Calling all music aficionados!! Are you looking to stay ahead of the musical curve? 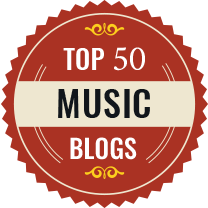 Look no further than our Top 50 Music Blogs collection. It will keep you up-to-date with the latest happenings in the music world. These carefully selected blogs include the most recent information about upcoming music tours, festivals, album release dates and what your favorite artist is up to these days. Ranging from hip-hop to indie rock, electronic to all the other genres that fall in between, our Top 50 music blogs is the place you need to check out. Here, you can read reviews, feature stories, news and watch the latest videos. Presenting a diverse section of multimedia content, these music blogs also feature concert reviews, artist interviews, radio mixes and breaking news. The content comes from all corners of the music spectrum, dedicated to introducing and promoting groundbreaking music by new talent as well as from established artists.